John Buehler, Sr. and his son John began the renovation of the property that would become Buehler Vineyards in 1972. Located six winding miles east of downtown St. Helena and nestled in the mountains above Conn Valley, Buehler Vineyards encompasses some 300 acres of Napa Valley hillside terrain. After over a quarter of a century of growing grapes, and over 28 years of producing wine from those vines, the family and vineyards continue to grow. With three generations living and working together, the Buehlers are dedicated to growing and crafting wines that respect the finest traditions of winegrowing. 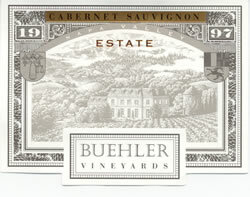 To join the wine club, visit www.buehlervineyards.com or call 707-963-2155.